On the resulting page, select the “Maintenance -> Logs” menu item. Select the log you wish to view from the sub-menu. 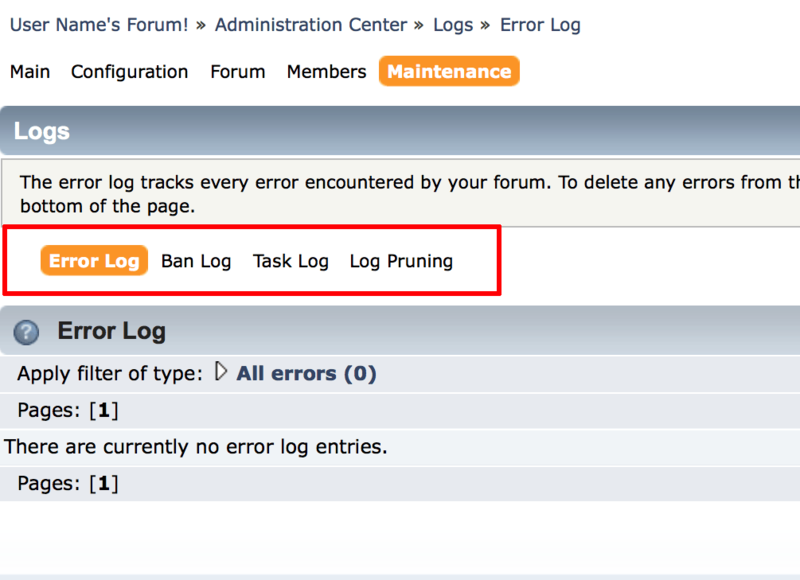 Available logs are the error log, ban log and task log.